Vovinam is from internationalization, including two meanings: Viet Vo Dao. Therefore, VOVINAM a source, while Viet Vo Dao is name of Vovinam. Called VOVINAM or Vietnam Vo Dao are the same as the original source. Calling the best, most complete is VOVINAM VIETNAM Budo. The wishes of the Founding VOVONAM sect is trying to form a common platform for human Budo initiated from Vietnam. VOVINAM must always move in the trend of the era of martial arts, to take the martial already existing in the world and made the object of study, then, or is outrageous use their essence, so as to consolidate crystal carry yourself, or find ways to neutralize the essence allelopathic it. It is necessary to distinguish here: Status of use does not mean colluding, simulation. Status Status of the user is recorded concocting essence, spiritual harmony in a separate, physical with each person, and then to apply. It also likened Status elite use of blue, red to purple transformed into, and not the red blue again. 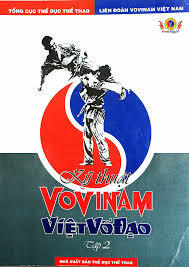 VOVINAM – VIETNAM traditional Budo bring martial capacity to protect the country against aggression, using martial of vulnerable people want to rise up the resolution taken these obstacles, refused nestled under brutal effort to be alive worthy, and make them live worthy. Unlike every martial religion influenced by religious or political, to sometimes become a tool or means of teaching or administrative practice. VIETNAM VOVINAM Budo has maintained traditional synthetic theory of martial arts and martial arts through the struggles mirror the celebrity world, fusion of all philosophies, all religions, adapting life to the life of thought operating Traditional action on hold, and open up the country’s era of human history. VOVINAM carry mission to teach people know martial arts, and then guide them to do their own benefit, for the people. That spirit must be expressed in emotional life, manner of, how to treat others, so that people understand and trust, love yourself. Have good communication on the sensory impression of objects Budo spirit really no national boundaries, caste and religion.